RDP funding for the Canal and River Trust in Monmouthshire encompassed a number of related activities consisting of festivals and events and information pamphlets providing information regarding points of interest along the canal. Total project costs amounted to £90,000, with RDP accounting for 15%, or £12,000. 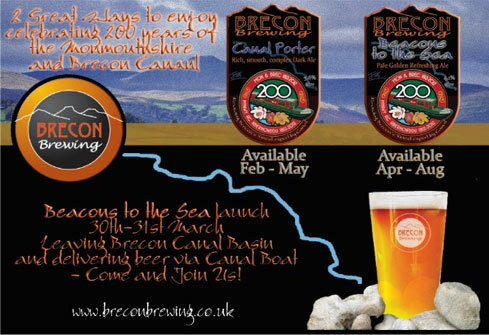 The events were based around the broad theme of the 200th anniversary in 2012 of the linking of the Monmouthshire and Brecon canals and delivered under the brand ‘MobBrec200’. Over 40 separate events including, organised walks, free canoeing to family fun days. The canal was promoted as a tourist destination. Three themed leaflets based broadly on history, food and canoeing, were produced with the history trail in Monmouthshire. RDP support was highly regarded, as part of a working partnership; local community and local area also benefitted from the support. The diverse and high number of events within the anniversary year involved local businesses, community groups and schools and relationships formed still flourish now. The organisation received and award at the living waterways awards 2013 for the succesful staging of the MonBrec 200 festival. The Local Economy has directly benefitted from the RDP project. Businesses saw increased footfall and sales during the MonBrec200 series of events, but also more long term through the branding exercises that took place. In particular, those businesses pointed out in the trail pamphlets will likely benefit from increased tourism business. The success of the project and the positive experience in working with a diverse selection of partners reinforced to the Trust the importance of working with partners in order to successfully deliver these types of programmes, and also that it is necessary to ensure that the Trust survives and thrives in future. Rather than regarding themselves as civil servants, Trust staff now act as ‘canal ambassadors’, engaging with the community.